Built 1900 by Fritz Koch as a machine house of the Gothersgade Power Plant. 1989 converted to a theatre by Erik Møller. Used as a theatre by the Royal Danish Theatre until 2008. Currently used as a conference and event venue. 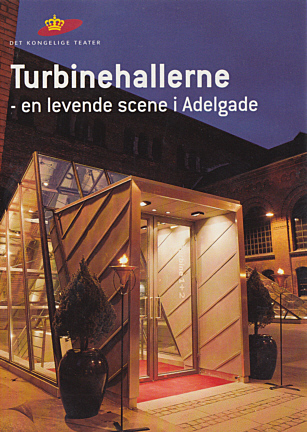 Front Text: "Det kongelige teater", "Turbinehallerne - en levende scene i Adelgade"